Elon Musk/SpaceX via InstagramSpaceX’s first Falcon 9 Block 5 rocket rolls out to a launchpad in Cape Canaveral, Fla.
SpaceX, the rocket company founded by Elon Musk, launched a Bangladeshi communications satellite on Friday. But the main attraction was the final version of SpaceX’s Falcon 9 rocket, called Block 5. Falcon 9 Block 5 may deliver up to 10% more thrust, a 10- to 100-fold improvement in reusability, and a 10-fold reduction in launch costs. 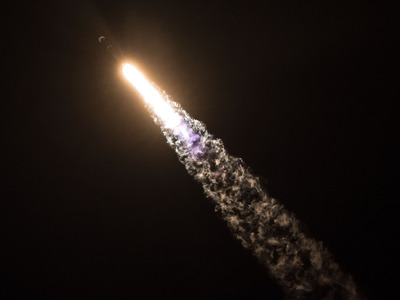 SpaceX – the rocket company founded by Elon Musk – has launched Bangabandhu-1, which is Bangladesh’s first geostationary communications satellite. Falcon 9 is the rocket SpaceX launches most often; in fact, Friday’s launch marks the 56th successful mission for the workhorse rocket over eight years. The launches have ferried thousands of pounds of cargo to and from the International Space Station, put dozens of commercial satellites into orbit, launched classified military payloads, and raked in billions of dollars. 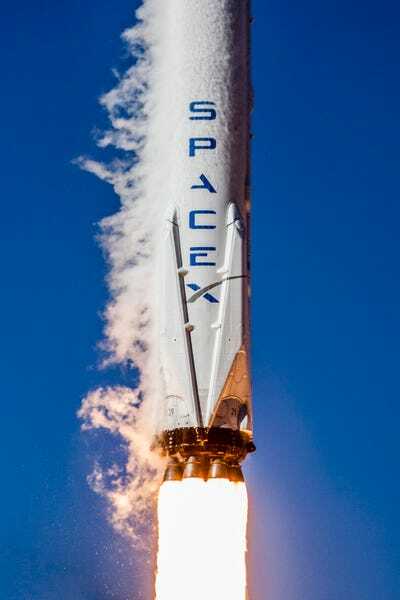 While SpaceX engineers have constantly tinkered with the rocket over the past decade, adding new features, increasing efficiency, and boosting power, Musk has said Falcon 9 Block 5 will be the “final version” before the company focuses on its bigger, badder rockets for colonizing Mars. Over the past year or so, Musk and Gwynne Shotwell, SpaceX’s president and chief operating officer, have described many of the core changes to the rocket. Below is a summary of what to expect from the latest and last iteration of Falcon 9, based on our previous reporting, a list of changes compiled by Reddit’s r/SpaceX community (which we first heard about from Eric Berger at Ars Technica), and othersources. This story has been updated with new information. It was originally published at 6:45 p.m. ET on May 10, 2018. 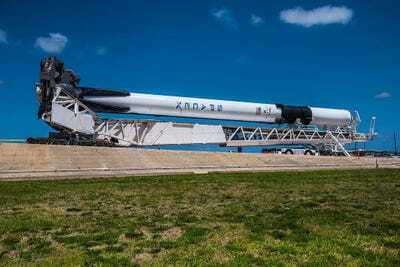 Falcon 9 Block 5 will be “almost 10%” more powerful than the previous version. SpaceX/Flickr (public domain)A Falcon 9 rocket launches with cryogenic fog trailing it into the sky on January 14, 2017. A key feature of any rocket is its force of launch, or thrust – especially for the biggest section of a rocket, called the first stage or booster. In June 2010, SpaceX’s first Falcon 9 rocket stood 180 feet tall, and the nine engines of its booster could produce a thrust of nearly 5,000 kilonewtons – roughly equivalent to 2.75 adult blue whales falling upward. 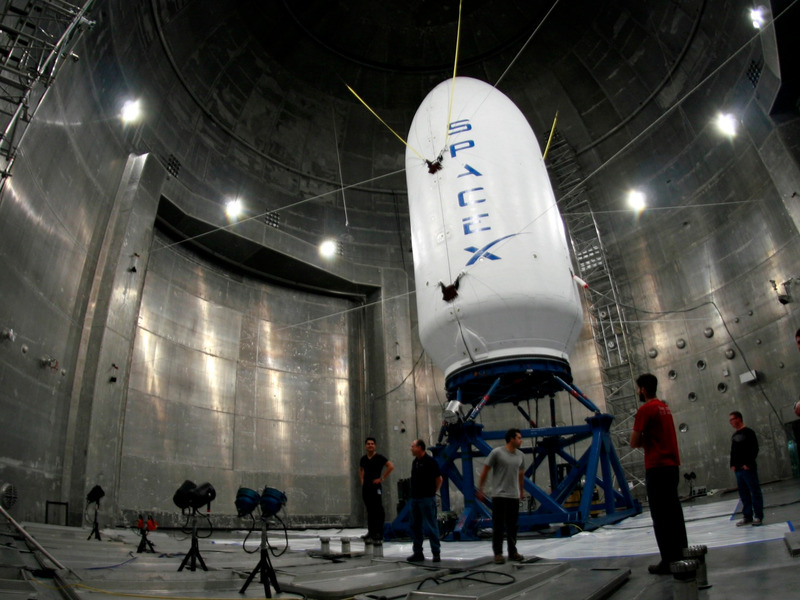 About a decade and several upgrades later, a “full thrust” version of Falcon 9 emerged from SpaceX hangars. That rocket stands 230 feet tall and is capable of more than 7,500 kilonewtons of booster thrust. Yet Block 5 may significantly best that number with its upgraded Merlin 1D rocket engines. “The most important part of Block 5 will be operating the engines at their full thrust capability, which is about 7 or 8% – almost 10% – more than what they currently run at,” Musk said after a Falcon 9 launch in March 2017. SpaceX/WikipediaThe fairing or nosecone of a Falcon 9 rocket undergoes testing in NASA Glenn Research Center’s Plum Brook Station in Ohio. The first Falcon 9 could send 23,000 lbs. into low-Earth orbit (roughly 250 miles above the planet). The new version may be capable of launching more than 50,000 lbs. – double the payload – if the booster uses up all its fuel and doesn’t save any to rocket itself to a landing. But landing the booster is key to Musk’s goal of drastically lowering the cost of access to space, since each one makes up about 60-70% of a Falcon 9’s total cost. Block 5’s greater thrust (among other improvements) will help the booster get larger payloads into space while reserving more fuel for controlled landings, thus improving the successful rate of recovering them – and quickly launching them again. 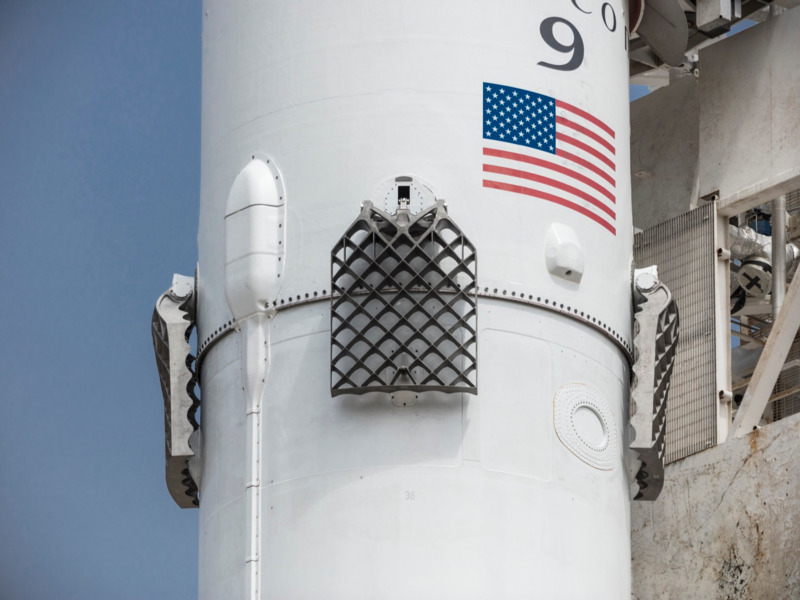 SpaceX/Flickr (public domain)A close-up of the titanium grid fins used on Falcon 9 rocket boosters. To make the boosters hold up better, Block 5 will use thermal-protection coating instead of paint. Engineers also added shielding to the tail-end of the rocket to better protect the heavy, expensive engines. And the booster’s grid fins, which guide it to a landing like a skydiver’s arms and legs, are made of titanium (which doesn’t melt during reentry) instead of aluminium (which gets damaged). Musk said in March 2017 that each Block 5 booster will fly a minimum of 10 times without replacing major components, though possibly more with refurbishment. Relaunching a used Falcon 9 rocket booster may take one day instead of months. SpaceX Photos/FlickrA close-up of the titanium grid fins used on Falcon 9 rocket boosters. 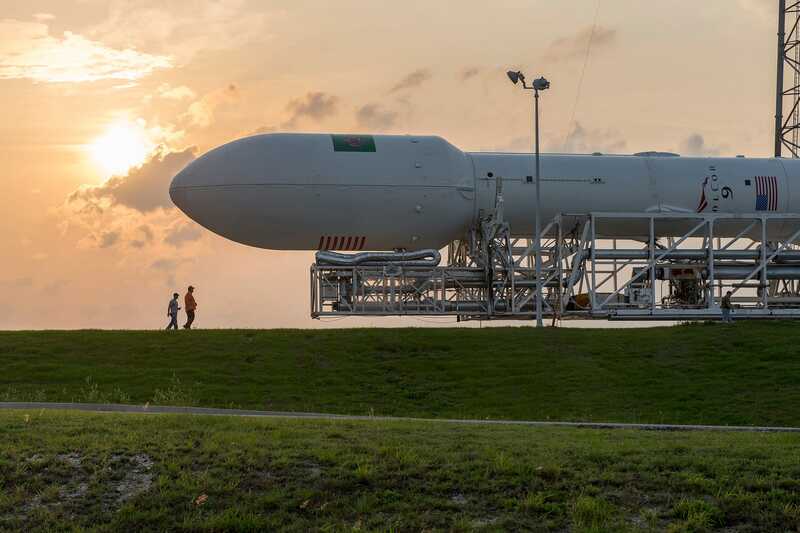 After a Falcon 9 booster lands, it takes time to ready it for a return to the launch pad – often several months. But Block 5, Musk has said, is “designed for easy reuse” that takes just weeks of turnaround time. However, Musk said in May 2018 that it might just take a day, if needed. To make this possible, SpaceX engineers bolted on the key structure that holds the engines, called the octaweb, instead of welding in in place; this allows for quicker inspections and refurbishing work. And the ever-important landing legs will retract, so they don’t have to be removed during transportation back to a hangar. Orbital rocket launch costs could fall 10-fold or more. Reusing boosters more often, more frequently, and reducing the overall work required to ready them for another mission translates to a lot of savings for SpaceX. Right now the company charges about $US62 million per Falcon 9 mission. The booster makes up about 60-70% of the marginal cost to SpaceX, which means each reuse could save tens of millions of dollars. SpaceX also plans to save its $US6 million rocket fairings, or nosecones – 10% of the marginal cost – by parachuting them back to Earth. Musk has also teased a “party balloon” solution to save the second-stage rocket, which makes up about 20% of marginal costs. 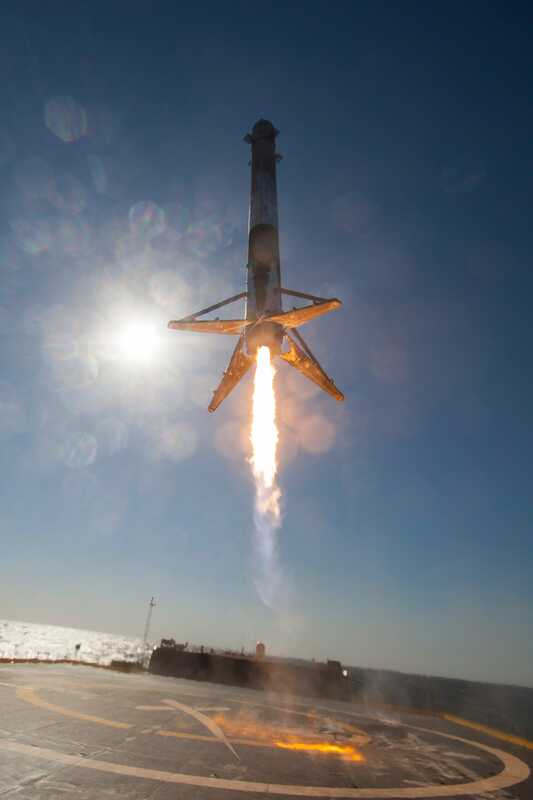 Each of these tricks could help SpaceX dramatically reduce its cost and pocket more cash. Some of those savings may be passed onto customers who are willing to fly on used boosters, though SpaceX hasn’t released details about how much of a discount it might offer, if at all. NASA and the Department of Defence will be more keen to launch with SpaceX. SpaceX/Flickr (public domain)A Falcon 9 rocket launched by SpaceX leaves behind an exhaust plume as it races toward space with a top-secret government payload code-named Zuma. Most of the changes that are part of Block 5, though, are designed to meet NASA’s demands before SpaceX launches its astronauts into orbit. Musk said in May 2018 that “there are thousands and thousands and thousands of requirements” that SpaceX has to satisfy before NASA will let the company launch people. Some of those changes including improving pumps to withstand cracking, and redesigning a helium tank that led to a September 2016 explosion during a launchpad test. (No one was injured, since the rocket wasn’t carrying people on top.) Other tweaks aimed to make the rocket more powerful to deliver national security missions into space. NASA requires seven successful launches of Falcon 9 Block 5 before the space agency will allow astronauts to ride a Crew Dragon capsule on top of the rocket to the International Space Station – something SpaceX wants to try before the end of the year. The Bangabandhu-1 mission, which flew aboard the first-ever Falcon 9 Block 5 rocket, counted toward that requirement when it lifted off at around 4:14 p.m. ET on May 11 from Cape Canaveral, Florida.